Come and join us in the wonderful setting of Bunyan’s Barn at Maydencroft Manor, Gosmore, for an evening of musical entertainment provided by Hitchin Band. The concert takes place on Saturday 10 September 2016 at 7.00 pm. 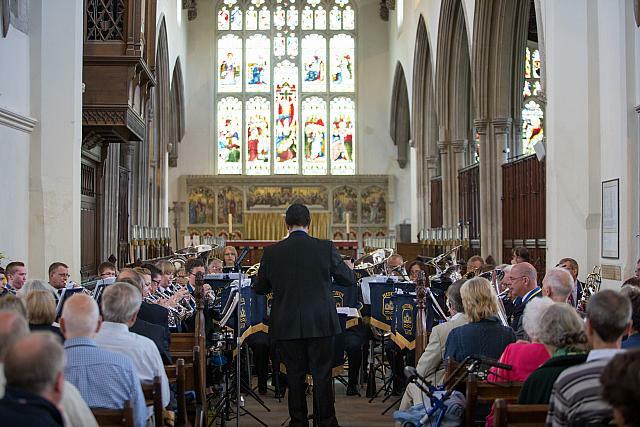 Hitchin Band is currently celebrating its 150th anniversary, having recently traced its origins back to 1866. The Band has formed the cornerstone of musical culture in and around Hitchin ever since and with recent contest successes is now regarded as one of the leading bands in the London and Southern Counties region. Hitchin Band and their Musical Director, Graham Chambers, are delighted to be playing at Maydencroft Manor in support of Holy Saviour Church. All proceeds will be applied to the Organ Fund. Tickets are £10 and are available from Frances (tel 01462 434762) and Sheila (tel 01462 621699).